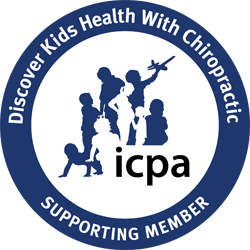 Do you want to be able to pick up your kids or grandkids without pain? Would you like to go just one day without a terrible migraine? Are you planning to run a marathon? Do you just want to be the healthiest you can be? Thank you for taking the time to learn more about Loehr Chiropractic & Acupuncture and how we can help you feel your best. We look forward to meeting you. Whatever your treatment goal is, we want to help you reach it with customized chiropractic care. Your first chiropractic visit is all about helping your chiropractor get to know you, investigating the causes of your health issues, and establishing the health goals you want to reach. If you give Loehr Chiropractic & Acupuncture a call today, we will do our best to help. Wondering what to expect during your first visit to our office? When you walk in our office doors for your first chiropractic visit, you will be greeted with a friendly, welcoming smile. After we say hello to you, we will ask you for photo identification and your insurance card. This will help us get to know you, check you in for your appointment, and verify your insurance benefits. When you ask one of our team members a question, expect them to answer it to the best of their ability. We are here to help you, and that means being truthful from the very beginning. Please feel free to ask as many questions as you like. Like other medical offices, we will ask you to complete some paperwork as a new patient. You will be asked a lot of questions about who you are, your health history, and your current symptoms. In addition, you will need to sign a variety of forms. Please answer everything to the best of your knowledge. Some things may seem irrelevant to the issues you’re currently experiencing, but every question will help us diagnose your issue. For example, if you are experiencing back pain, it may catch you by surprise when your doctor asks you about digestive issues in addition to checking your spine. Even if a query seems to come out of left field, however, it is important to answer it. Every scrap of information that our doctors gather helps them diagnose your current condition and create a treatment plan designed to help you feel your best. All first visits to our office begin with an exam and x-rays if needed. This occurs regardless of whether you are coming in for chiropractic care, acupuncture, nutrition, or any other reason. Why are we so thorough? You wouldn’t expect a medical doctor to prescribe medicine without knowing your health history or performing an exam. Our chiropractic physicians will not recommend a treatment unless they have thoroughly verified that it is necessary. At the end of your first appointment, we will work with you to schedule your second visit. We call this your Report of Findings visit. This second appointment is extremely important to your care, because during the meeting your chiropractic physician will review your diagnosis and treatment plan with you. Click here to learn more about the Report of Findings. For your first chiropractic visit, you should plan to be at our office for about one hour and fifteen minutes. That allows time to fill out your paperwork, review it, discuss your case with your doctor, undergo a physical examination, and have any necessary x-rays taken. Depending on your diagnosis and schedule, you may or may not receive treatment during your first visit.